You took this job to make a difference in medical education. We help you bring GME into the 21st century. Make the most of the limited time you have to prepare the next generation of physicians to practice at the top of their license. 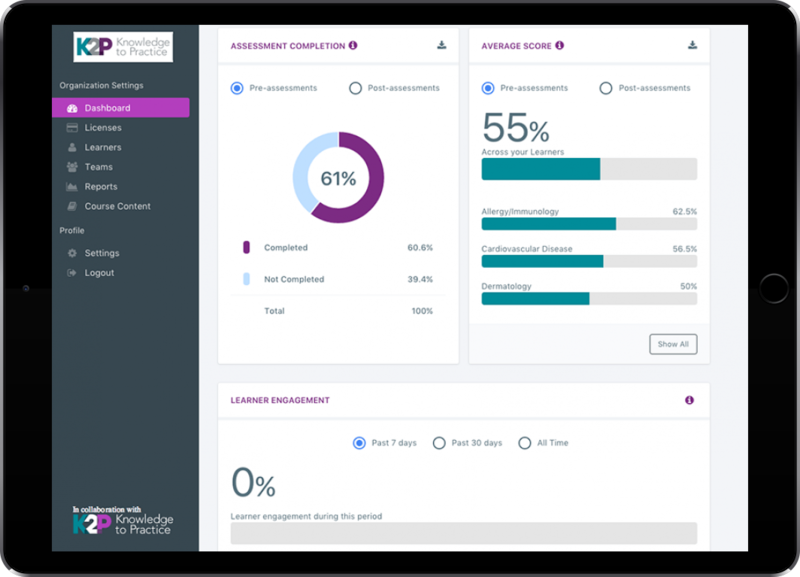 Knowledge to Practice gives you clinical and faculty development learning modules designed by education experts, available on any device at any time, and a dashboard to measure trainee progress toward clinical mastery.